The data presented here are semi-finalised and are taken from the special survey of researchers and research and development (R&D) engineers in business enterprises in 2013, a 2-yearly addition to the annual survey of R&D expenditure in business enterprises. R&D researchers and engineers are counted as physical persons (present on 31 December or at the end of the accounting period and working on R&D projects exclusively or partially). In business enterprises, researchers are scientists and engineers engaged in the conception or creation of new knowledge, products, processes, methods and systems (including doctoral students with funding who are paid by the company, for example, like those with an Industrial Agreement for Training through Research (CIFRE)), and high-level personnel responsible for research teams. Engineering sciences 1 includes in particular electrical engineering, electronics, computer science, automation, signal processing, photonics and optronics. Engineering sciences 2 includes in particular civil engineering, mechanics, materials engineering, acoustics, fluid mechanics, thermal physics, energetics and process engineering. The research sector of a business enterprise is the main branch of economic activity in which research is carried out. The 32 research sectors are based on the French classification of economic activities (NAF rev.2). 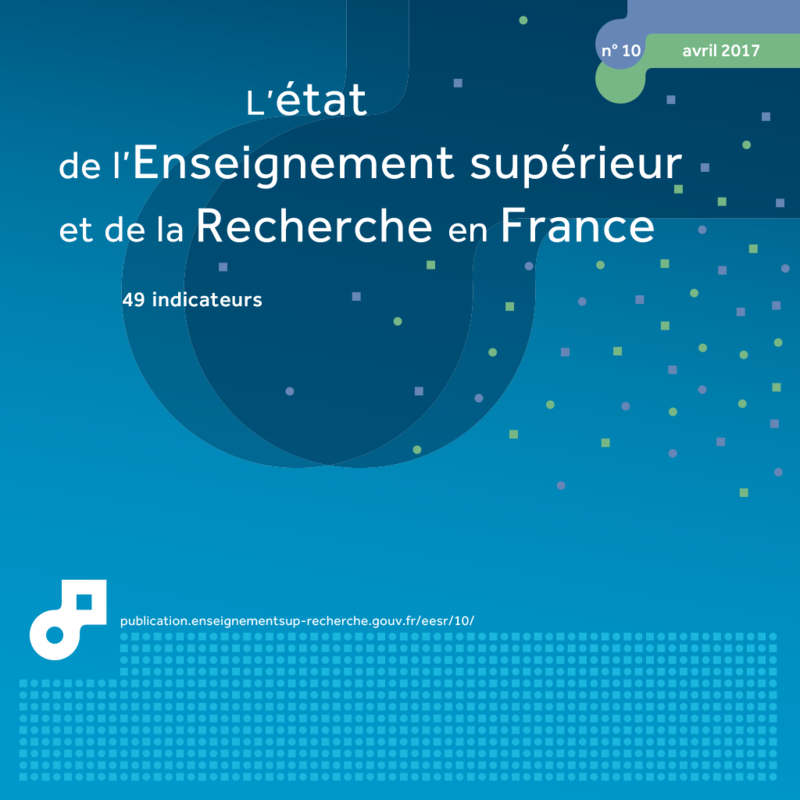 In 2013, almost 220,000 researchers were involved in R&D activity in business enterprises in France. This is a young population, with a low proportion of women (20%), the majority with an engineering degree. In business enterprises, only 12% of researchers have a PhD and 17% have a Master's degree. The socio-economic characteristics of researchers, however, depend on the company's sector of research. In France in 2013, 220,000 researchers (headcount) were working in a business enterprise. The population of researchers in business enterprises is still young: half of researchers are under 38, compared with 42 overall for managers in business enterprises (chart 37.01). However, in two years, there has been a slight shift in businesses towards the higher age bands: 16.6% of researchers were aged 50 and over in 2013, compared to 15.5% in 2011 (the same change, +1 point, was noted for managers). In 2013, 55% of researchers had graduated from an engineering school (chart 37.02). Although there was a greater proportion of PhD holders in public research organisations, higher education or non-profit institutions, doctoral graduates only represented 12% of researchers in the private sector. A quarter of these had a PhD in medical sciences. In addition, among PhD graduates, excluding those with a PhD in medical sciences, around 30% obtained their PhD after first obtaining a qualification in an engineering school. 17% of researchers held a Master's degree (or Diploma of advanced studies (DEA)/Specialised graduate diploma (DESS)) in 2013. This increased by one point in two years. By working in research in business enterprises, it is also possible to obtain validation of professional experience: 8% of researchers have a level of study below that of a Bachelor's degree. Finally, 2% of researchers were graduates from foreign universities (nearly one quarter at PhD level). Four out of five researchers in business enterprises work in 'Engineering sciences' or 'Mathematics-Software-Physics' (chart 37.03). In contrast, fewer than 3% work in the 'Social sciences', 'Earth Sciences' or 'Humanities'. In 2013, the 'Computer services' and "Scientific and technical activities' research sectors employed over a quarter of business enterprise researchers, which are a young population (median age of 34). In the 'Communication Equipment', 'Measurement appliances' and 'Pharmaceutical industry', the median age of researchers is over 42. Most researchers with a healthcare PhD work in the pharmaceutical sector (61%). Excluding healthcare, the 'Scientific and Technical Activities' sector employs the largest proportion of PhD graduates (19%). In business enterprises, one in five researchers are women. The younger generations contain slightly more women: 23% of researchers under 30 are women (chart 37.04a and chart 37.04b). Like male researchers however, their population has discreetly aged. 30% of female researchers in business enterprises are concentrated in two sectors of research: 'Scientific and Technical Activities' and 'Pharmaceutical industry' (the respective levels of women are 23% and 59%). Compared to their male colleagues, fewer women researchers are engineers (43% compared with 57%). Among business enterprise researchers, there are more women than men in the 'Medical sciences' and 'Biological sciences' sectors. In 2013, 5% of business enterprise researchers working in France were foreign nationals and half of these were from European Union member states. In business enterprises, over a quarter of foreign researchers were women. Extract from the chapter "37. researchers in business enterprises". 1 Median age of researchers, 38 years. 2 Median age of managers, 42 years. 2 Civil engineering, mechanics, materials engineering, acoustics, fluid mechanics, thermal physics, energy, process engineering. In 2013, 220,000 people were employed as researchers in business enterprises, either part-time or full-time. The corresponding workforce is 162,000 full-time equivalent (FTE), or 61% of all researchers working in France. This proportion is much higher (+13 points) than the European average. The professional activity of researchers in business enterprises has changed: in 2013, they devoted 73% of their average annual working time to R&D, compared to 95% up to 2005. In addition, they only benefit from 0.6 FTE support personnel per year to help them with their research work, half the level recorded in 2001. Researchers in business enterprises are relatively young (half are under 38 years of age), mostly male (80%) and engineering graduates (54% compared to 12% of PhD graduates). However, this average profile depends on the size of the company and above all its research sector.